Young Kubo’s (Art Parkinson) peaceful existence comes crashing down when he accidentally summons a vengeful spirit from the past. Now on the run, Kubo joins forces with Monkey (Charlize Theron) and Beetle (Matthew McConaughey) to unlock a secret legacy. 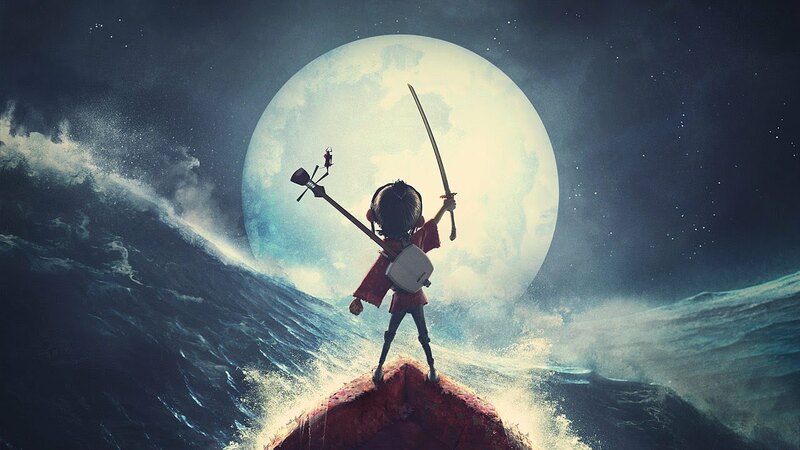 Armed with a magical instrument, Kubo must battle the Moon King (Ralph Fiennes) and other gods and monsters to save his family and solve the mystery of his fallen father, the greatest samurai warrior the world has ever known. “That Nomad Shad” – This is my favourite animated film of 2016 and has definitely made it into my top 10 animated films of all time. The film is just a gorgeous stop-motion masterpiece; a rarity in today’s CGI saturated market. Technically, I can’t fault this film. It reminded of the art of cinema and why I got involved in the film and tv industry. You don’t even have to like stop-motion to appreciate this masterpiece. Kubo also tells a rich story, which takes the titular character on a quest to find out the truth out himself and his past. The story speaks to both old and young alike with dazzling action sequences and powerful life lessons interwoven with absolutely beautiful cinematography. Please share & let us have your thoughts.